The meeting will be held at the Valerie O. Thomas Community Center at 7:00pm and is mainly for residents and business owners of Sea Cows Bay, Cocodella, and Collon Hill, together with all motorists who frequent the Sea Cows Bay main road. The High Voltage Cable Laying project will pass through Sea Cows Bay over the next few weeks. Minister for Communications and Works Hon Mark H. Vanterpool, along with representatives from his Ministry; BVI Electricity Corporation; and the Contractors, is expected to be on hand for the presentation. “It is my belief, that given the anticipated inconvenience to motorists by the significant narrowing of the road, and the resulting delays in traffic due to diversions and miscommunication, a forewarning, the sharing of ideas, and full knowledge of the diversion routes should be had prior to the start of the project. 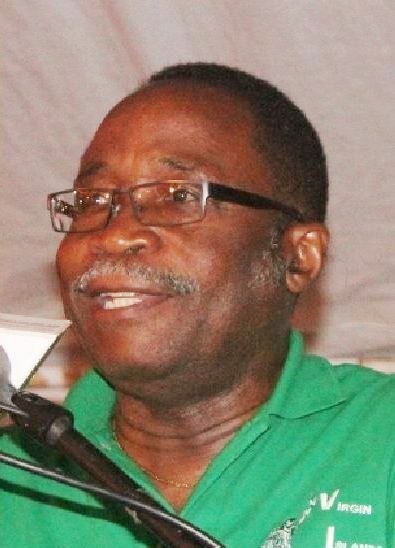 “Additionally, residents and business owners will get to plan around other inconveniences such as the nuisance of dust, congestion, and access issues, by demanding that the road is sprayed with sufficient frequency to keep the dust in check, adequate access to their properties is maintained, and proceed to schedule their activities around the project's activities,” Hon Fraser stated. Sea Cow's Bay is without water and has been without water for some days please help Sea Cow's Bay residents. Bet you the Minister won't show up, but send one of his cronies instead. not even a slight consdieration with teh people of sea cows bay to mek sure them got a liil water to wash them front! Thats a good subject to be talking about because its rediculous how they digging up the daxxmmn roads. To me it seems like they digging up the same spots every year. Why? Andrew cannot be TRUSTED…I will vote Fraser over him anyway! Digging up is ok. If they have a plan that works. But obviously their plans are not working. They have dug up in front of the custums building the same spot 3 times. Where is our government? The roads are been dug up to regular. Love it when the loader truck drivers head straight for your windshield where there is only one lane wide. Like kamakazees. Are they paid extra for attempted homicide?